Inditex is the largest and the leading fashion brand of the world with a remarkable presence globally in the key markets. It owns several fashion brands including the fast fashion brand ZARA. The success of Inditex can be attributed to its integrated business model and its excellent supply chain management as well as its passion for creativity. It has grown its retail network vastly in the recent years. Apart from its 7475 retail stores, the brand is selling globally in 47 markets through its online channels. In 2017, it rolled out its e-commerce platform in key markets in Asia. Simultaneously, it is focusing on growing its retail presence in China, a major market for fashion brands now. Inditex has introduced several brands that cater to varying tastes of different categories of modern customers. Apart from affordably priced products it has brought products that cater to the higher end of the market. This has helped the brand grow its customer base faster. Despite this, Inditex has never invested a lot in marketing. It has always depended on other forms of marketing that mostly happens through media, its websites and its retail stores. Apart from its retail presence, the financial performance of Inditex has also grown fast. Its revenue has crossed the 25 Billion Euros mark in 2017. However, competitive pressure has also kept rising. 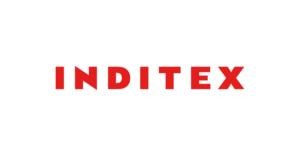 Read more about Inditex and its strengths & weaknesses in this SWOT analysis. An integrated business model is one major strength of Inditex. It has maintained a very high degree of integration in all the phases of its production and sales process. At every stage from design to supply, product and manufacturing quality control, logistics and retail, the company has managed a heavy level of integration which is the reason behind its efficiency and productivity. The brand uses a common Information management tool to manage information throughout its supply chain. Integrating its supply chain, logistics and sales channels has helped it better manage inventory. Its integrated value chain makes it easier for the brand to monitor it and make continuous improvements. Moreover, without this level of integration, it would have been impossible to construct such a large, efficient and effective global network. Inditex has brought large range of products that serve various customer segments including men, women and teenagers. Apart from stylish designs, it has brought products that reflect the contemporary trends in music, technology and fun. Inditex cares for the taste of the modern generation and therefore has brought product ranges that reflect their attitudes and favourite styles. The first brand by Inditex was Zara and after Zara’s success, it brought more brands that include Pull&Bear, Massimo Dutti, Bershka, Stradivarius, Oysho, Zara Home and Uterqüe. Each of these brands is distinct from the other and is based on a distinct theme and serves a distinct market segment. Apart from fashion products, the company has also brought a brand of home furnishing products and of fashion accessories to the market. One of the major strengths of Inditex is its well integrated and strong supply chain and retail network. Innovative supply chain management is most critical to controlling costs and Inditex has managed its supply chain efficiently so as to ensure continuous supply of raw materials as well as keep costs under control. There are more than 1800 suppliers currently feeding the Inditex factories. It has also invested in technology to manage purchasing and for monitoring its supply chain continuously. Apart from that it conducts regular audits to ensure transparency in its supply chain. The brand has also continued to grow its retail network globally. There are 12 supplier clusters of Inditex accounting for around 95% of its total production. They are located in Spain, Portugal, Morocco, Turkey, India, Pakistan, Bangladesh, Vietnam, Cambodia, China, Brazil and Argentina. In 2017, it extended its commerce platform to key markets in Asia that include India, Malaysia, Indonesia, Singapore, Thailand & Vietnam. Moreover, it is using an optimised mix of online and retail stores to reach its customers throughout the world. As of 2017, it had 7475 retail stores and its commerce platforms operational in 47 online markets. Supply chain and retail network optimisation has continued to help the brand expand faster and grow its customer base and revenue. The brand has focussed on continuous innovation so as to make improvements continuously as well as create highest customer satisfaction. Apart from central management of Information throughout its value chain the brand has also invested in innovative technology in other areas to grow its efficiency. Inditex is an innovative brand and from design to supply, logistics, manufacturing and retail, it has innovated in all these areas to bring out the best results. Down the supply chain it uses technology to register its suppliers, optimise the entire supply chain and logistics and to manage information. It also uses technology to train the suppliers and to ensure that they maintain transparency and treat their workforce equitably. In 2017 the Inditex group continued to roll out same day and next day delivery throughout several of its brands as well as integrating store inventory with online warehouses. It is deploying RFID (Radio Frequency Identification) which is he central pillar upon which many of the other innovations too which the brand is putting into operations are based upon. Its goal is to implement RFID technology into all of its brands by the year 2020. HR management is also a key focus area at Inditex. It is because the brand firmly believes that its success rests upon the efficiency of its employees. As of 2017, it employed around 171,800 employees. Inditex also employs more than 700 designers that through their creative passion create attractive designs for customers. From fair and decent treatment of all the employees to training and career growth as well as equality and inclusion, the company excels in all these areas in HR management. Its culture is based upon four important pillars that are teamwork, humility, diversity, sustainability. Inditex uses its international Inditex Careers website to attract and retain the best talent. It also grooms its employees so that can find growth and become fashion leaders of tomorrow. It has enabled programs that can help its employees continue their education and find faster growth. There are several education and training programs at Inditex including Business management, languages, fashion and textile meant to skill the employees and help them find more success in their careers. Apart from attractive salaries, it has made attractive privileges available to its employees so that can find better balance between their jobs and personal lives. The overall personnel costs of Inditex rose to 3.96 million Euros where average salary per full time equivalent employee per year was 22,627 Euros. Employee satisfaction is a key priority at Inditex. In the recent years, Inditex has focussed on growing its online sales faster. It released its e-commerce platform is key markets of Asia in 2017. The brand is expecting to expand its e-commerce platform to more markets faster in the coming years. Online sales accounted for 10% of the entire sales that the brand had in 2017. Moreover, in all the 47 markets where Inditex has an online presence, the online sales accounted for 12% of the entire sales. he number of markets with online stores in 2013 was only 25 which has increased to 47 in 2017. Moreover, seamless integration of its online and retail channels means online sales are going to increase in the coming years. Inditex has focused on sustainable innovation throughout its business processes from supply chain to manufacturing and distribution as well as sales. Sustainability is not just a key pillar of its business strategy but also that of its culture. While it strengthens the brand’s image, it also helps create better value while reducing costs. Inditex is popular brand that has achieved a unique position for itself in the market by creating a distinct image of sustainable, innovative and customer centric brand. The company creates and sells fashion in an ethical and responsible manner. It is why it has adopted sustainability in all the four key areas of its business model which are design, logistics, manufacturing and retail. Down the supply chain also, it conducts regular audits to ensure that the suppliers abide to the sustainability rules. It has committed itself to sustainable development and aligned its strategy with the United Nations Agenda 2030 for sustainable development. Despite being a large and successful brand, Inditex has not focused a lot on marketing and promotions. It has reduced its operational costs by investing less in marketing. However, the competitive pressure has kept growing intense. The competing brands are investing a lot in marketing and promotions. In future the competitive pressure could increase even further which might force Inditex to spend on marketing and promotions. In key Asian markets, including India, Malaysia, Thailand and Singapore, the brand has just opened its e-commerce platform. As of January, 2018, the brand had 23 stores in India whereas 593 in China, Thailand 22 and Malaysia 20. India is a large market where its number of stores must have been higher. There are several more markets outside the Europe and Americas where its physical presence is low. Customer service is an important focus for Inditex. Apart from training its employees in customer service, the brand is also investing in technology to grow its level of customer service and improve its customer experience. Apart from RFID, it is investing in several more technologies so that its customers can have the best in store and online shopping experience. The brand can improve its customer experience further by investing in technologies like AI and Virtual Reality. Investing in marketing is also an attractive opportunity for the brand which can help Inditex grow its customer base as well as market share. Till now it has not been investing in marketing for several reasons. This has helped the brand control costs but the competitive pressure is increasing and therefore it might become essential for Inditex to invest in marketing and advertising. Backward Integration can also help the brand reduce its costs and increase its revenue and profits. Acquiring some of its manufacturing and supply chain will help Inditex reduce costs and ensure continuous supply of raw materials. This will prove highly profitable for the brand and make its position in the market stronger. Competition in the fashion industry has kept increasing, resulting in higher pressure for Inditex related to production efficiency and customer service. Apart from the affordably priced brands that compete with Zara, there are higher end brands too that compete with several of the Inditex labels. Competitive pressure can result in higher operational costs as well as higher pressure related to marketing. Legal and political regulation of the fashion industry has increased creating higher pressure on the fashion brands regarding compliance as well as driving their operational costs high. Inditex has always been a responsible brand whether it is regarding its customer service practices or manufacturing and supply chain. It has adopted a sustainable model of business but it is trying to expand overseas faster and the legal barriers and political regulations can be a major challenge to its global expansion plan. The costs of raw materials have kept increasing. This is leading to higher operational costs for Inditex. The company sources only good quality raw material and hires only the best. In future, its operational costs might rise even higher due to higher costs of raw material and labor which would affect its revenue and profits. Inditex has fast and successfully sailed against several roadblocks which still bother other fashion brands in the industry trying to become leaders. It has managed an integrated business model which is its core strength. Apart from its unique business model which is both efficient and effective, Inditex is great in many other terms too. It has managed an excellent supply chain and a large and optimized retail network that spans around 96 countries. It is both innovative and customer oriented. However, it is also focused on sustainability which is key to its popularity and a reason behind the excellent growth it has enjoyed since its foundation. In the coming years, it plans to grow even closer to its customers’ hearts and so it is investing in technology to make shopping more convenient and interesting for the next-gen shoppers. Its large group of designers are not creating just fashion but something that defines modern taste and style. Inditex is strong in several areas but there are challenges ahead. It has managed to overcome most of them till now. However, apart from intense competition there are other challenges ahead too. It will have to remain ready for all these challenges and investing a little in marketing might help it grow even faster. Creative marketing can be a great strength for any brand and Inditex must consider it keeping the high level of competition in the fashion world in mind. Inditex Annual report 2017, 16 & 15.